Did you know the tire’s air pressure supports 95% of a vehicle’s weight? Your safety is literally resting on air every time you use it. Maintaining the correct tire pressure is more important than you might think, as improperly inflated tires can impact everything from ride quality to fuel efficiency and performance. It can also prevent your vehicle’s Antilock Braking System (ABS) and Traction Control System (TCS) from operating properly. Tire Pressure’s Connection to Safety? If tire pressure is too low, too much of the tire’s surface area will touch the ground. This increases the friction between the road and tire and will cause your tires to overheat and wear prematurely. On the other hand, if tire pressure is too high, then less of the tire touches the ground and the car is likely to bounce on the road – putting you at risk for accidents. Correct pressure can vary from tire to tire and vehicle to vehicle. 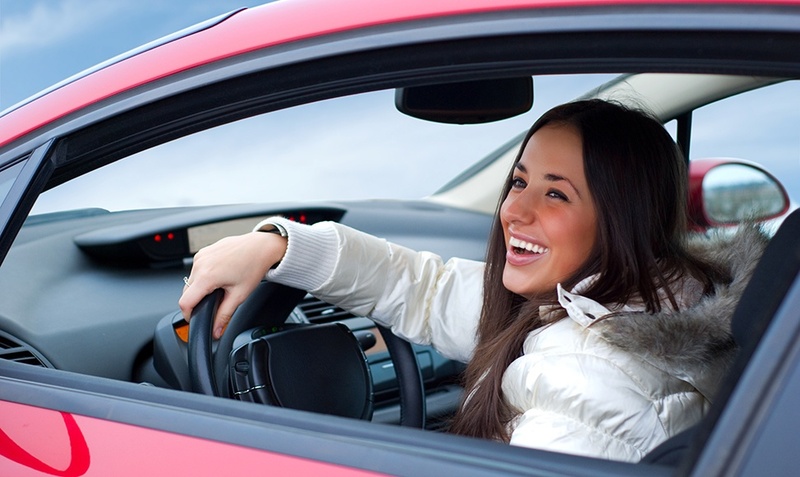 In fact, the recommended pressure for personal vehicles can range from 20 psi to over 50 psi. 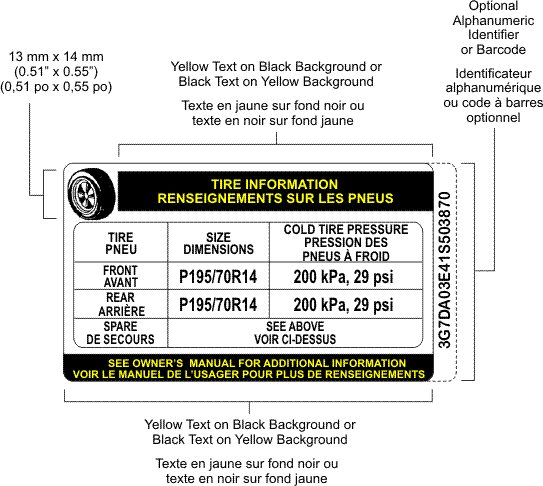 The recommended tire pressure for your vehicle is listed on the information placard. ?This placard is normally located on the edge of one of the doors, the inside post of one of vehicle’s doors or inside the glove compartment, trunk, or fuel door. 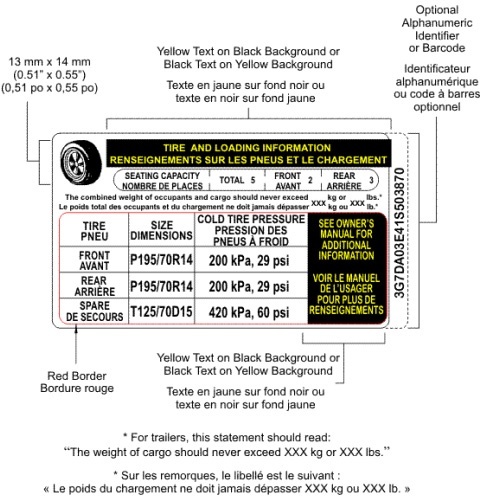 Your owner’s manual should include the correct tire inflation pressure or direct you to the placard’s location. You might know that tire pressure can also be found on the sidewall of the tire, however this number may differ from the number on the tire placard. It’s extremely important to note that the tire sidewall contains the tire pressure that is required to carry the maximum load of the tire and not the manufacturer’s recommended tire pressure for the vehicle. ?It’s important to keep this difference in mind- especially if you have changed the size or type of tires on your vehicle from the manufacturers original set. You can speak with your tire specialist or technician for more information on tire pressure and the difference between the information on your placard and the tire sidewall.